Hundreds of major companies have promised to come clean on the risks from climate change. Nearly 240 firms have signed up to a disclosure campaign led by billionaire Michael Bloomberg and Bank of England Governor Mark Carney. The number has more than doubled over the past six months. BlackRock (BLK), Burberry (BURBY), JPMorgan Chase (JPM) and Mercedes-Benz owner Daimler (DMLRY) have all promised to reveal information about climate change in a standardized way, much like they report quarterly earnings. The firms will report on topics such as carbon footprint, energy usage, risk management plans and strategy to slow climate change. The new signatories were revealed at a summit to celebrate the second anniversary of the Paris Climate Agreement. "[Investors are] looking for this financial information," Carney told Bloomberg TV. "Now they have a framework to get it." Bloomberg, the former mayor of New York City, said the firms will benefit by demonstrating to employees, customers and shareholders that they are being environmentally friendly, managing climate risks and pursuing climate-related business opportunities. "If the investing public likes what they are doing, they'll get a higher valuation, their stock will go up and [corporate] bonuses will be bigger," he said. 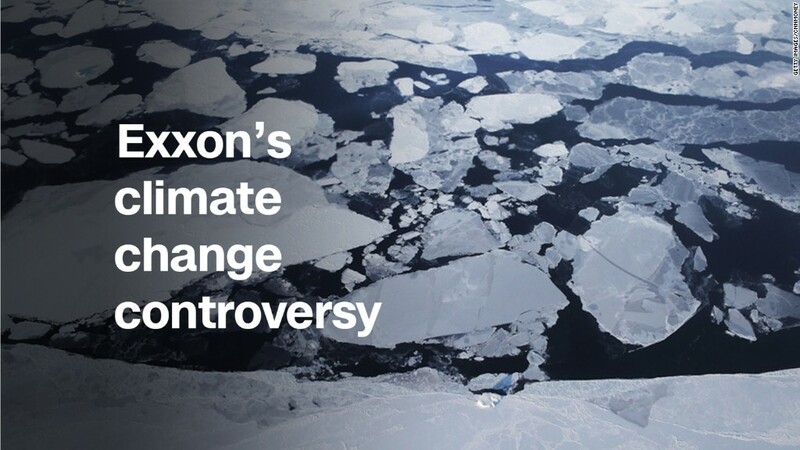 The announcement was made one day after oil giant Exxon Mobil (XOM) bowed to shareholder pressure and agreed to disclose more details on how climate change could affect its business. Some of its top rivals, including Shell (RDSA), Statoil (STO) and Total (TOT), have signed up to the initiative promoted by Bloomberg and Carney, which is called Task Force on Climate-related Financial Disclosures. Carney said there is huge demand among top investment houses and insurance firms to see climate data as they make financial decisions. "You now have the mass of the financial sector saying, 'We want to distinguish between those who can see the [climate] opportunities, those who can manage the risks, and [those] companies that just don't know the answers.' " he said. "It's going to be more awkward to be in that last group." President Trump announced earlier this year that the United States, which is the world's second biggest carbon emitter, would pull out of the Paris accord. "Regardless of what our president [is doing]... the federal government doesn't really have a lot of say in all of this," said Bloomberg. "In some senses, I think Trump has been helpful because he's at least brought the issue out," he said. "Those of us who think there really is [an environmental] problem, and hope to convince him that there is, we've rallied together."